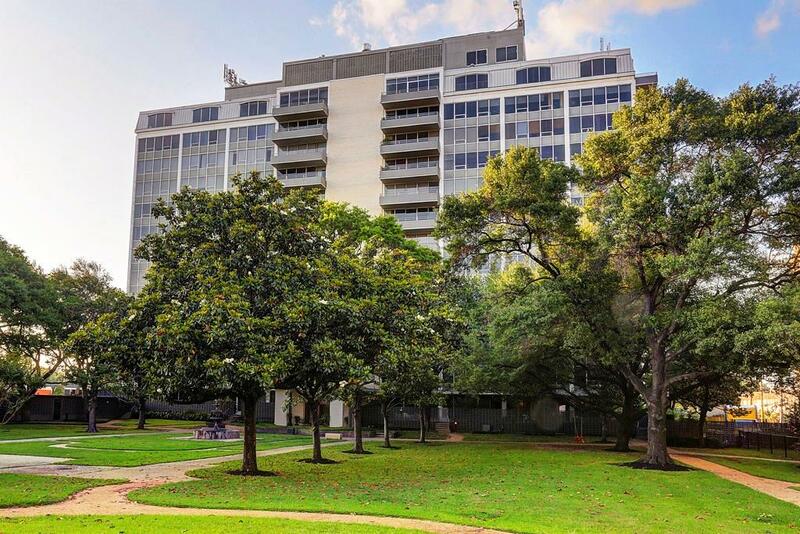 Chic contemporary condo with sweeping 8th floor views of West Ave. and the lushly landscaped grounds and pool in a park like setting.. 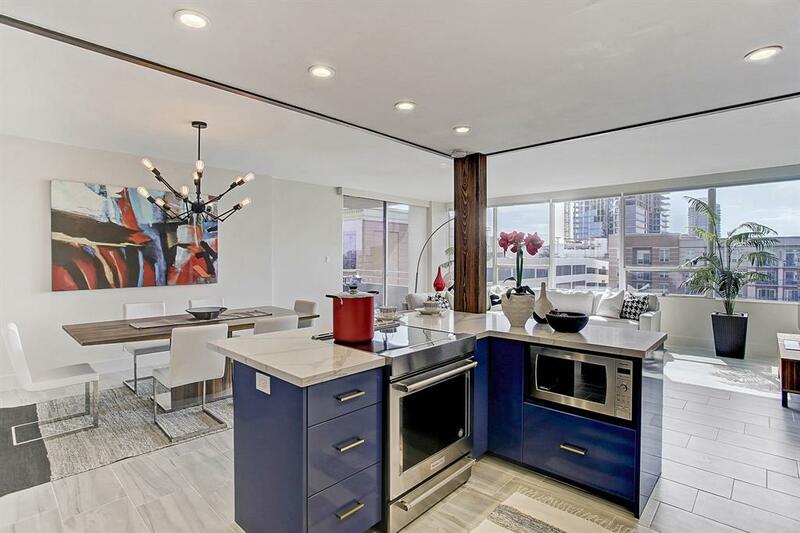 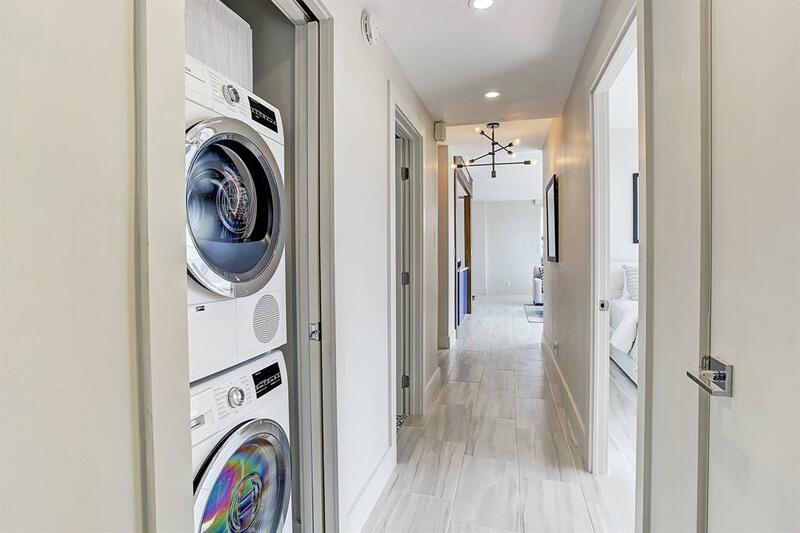 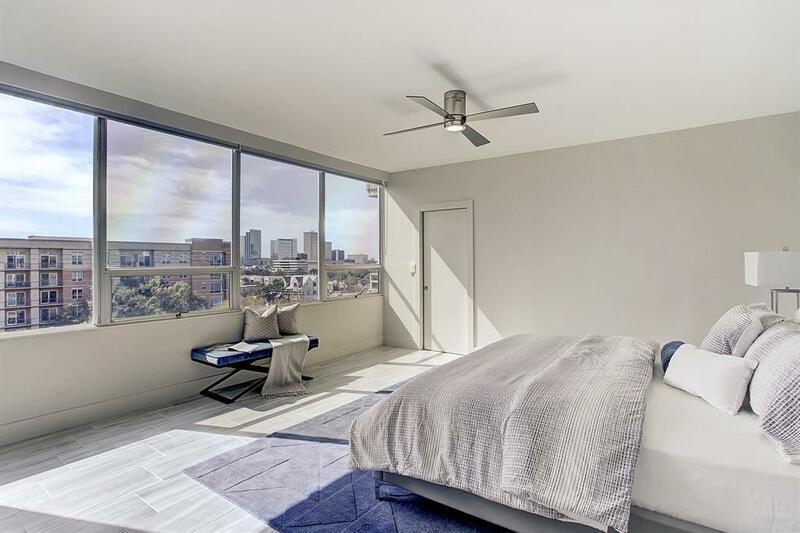 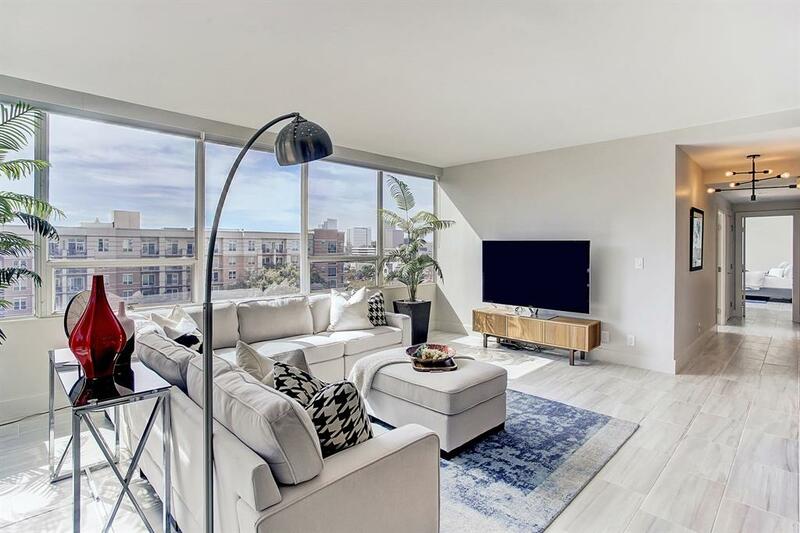 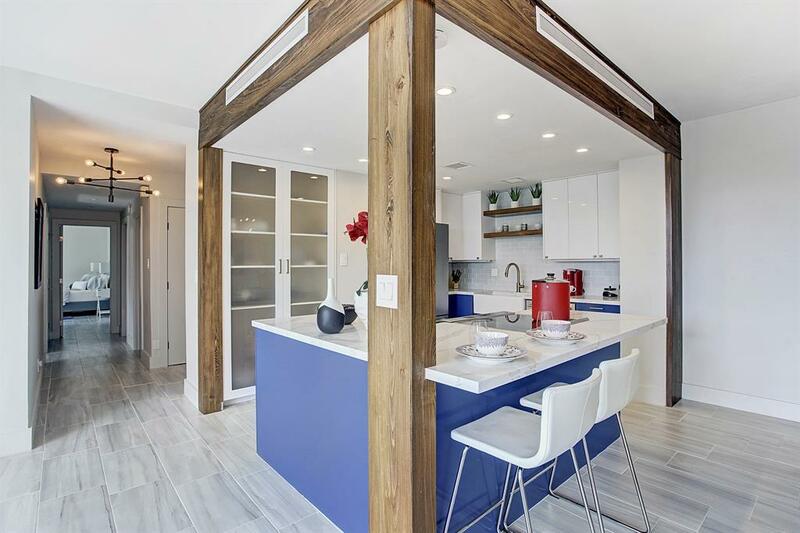 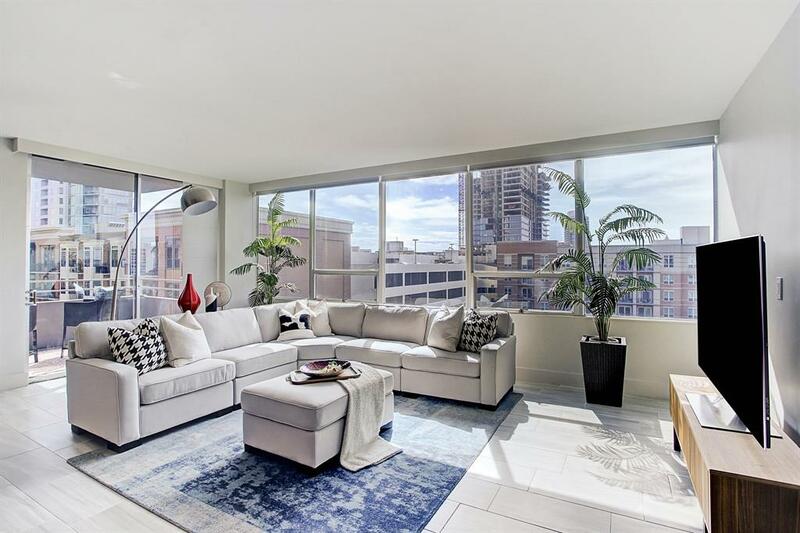 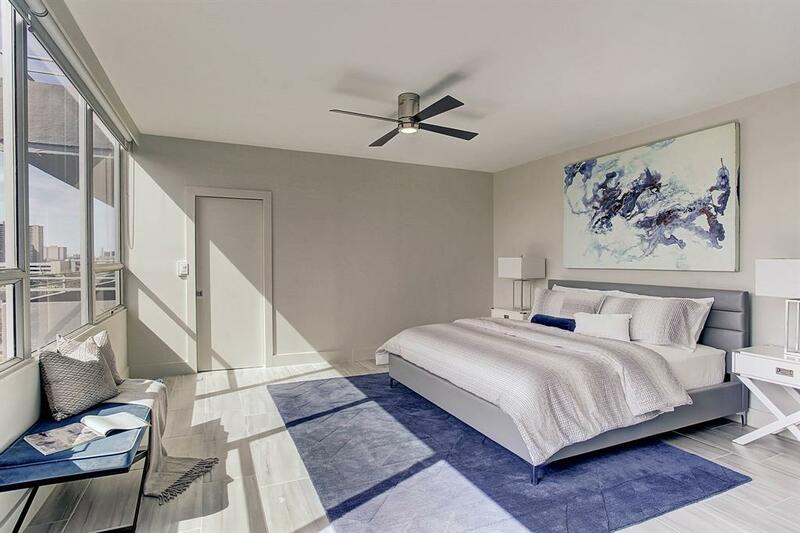 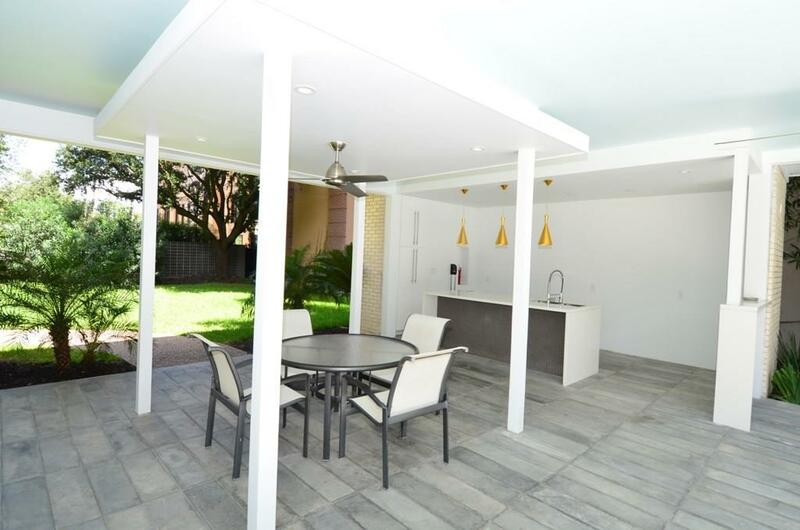 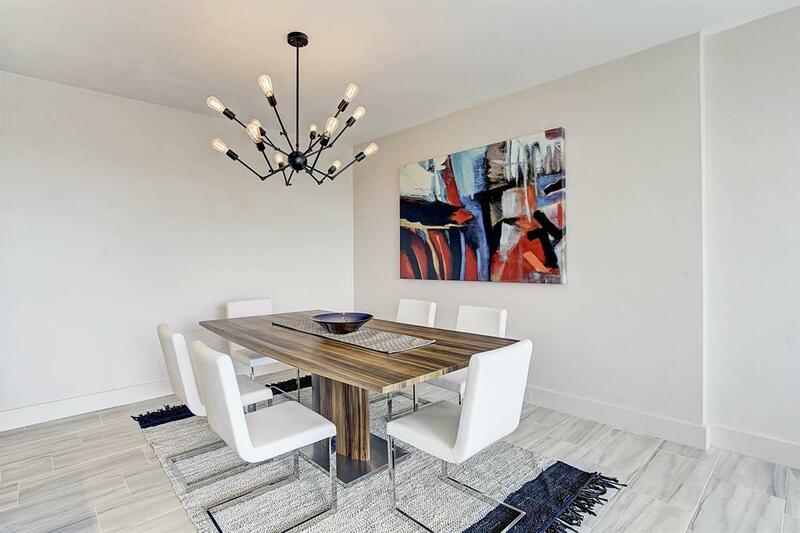 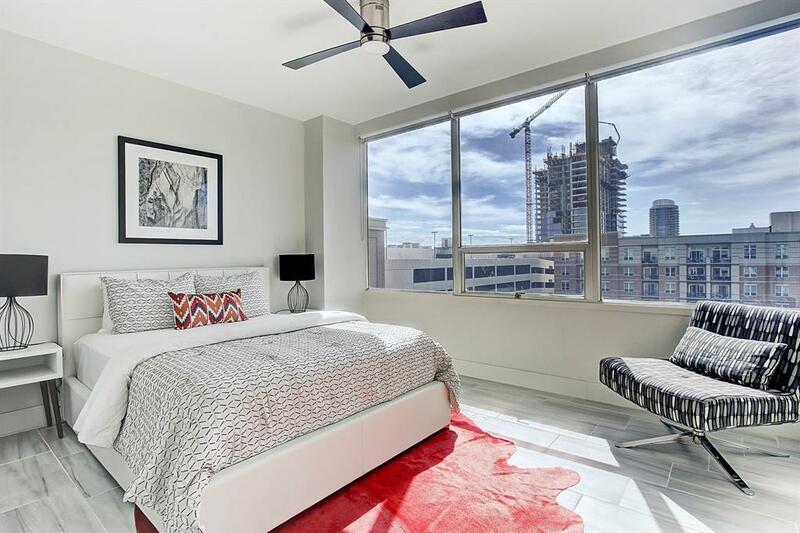 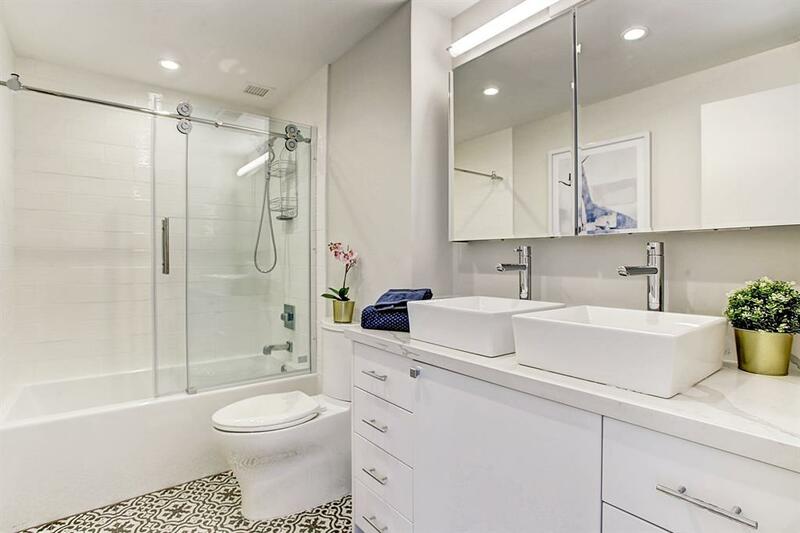 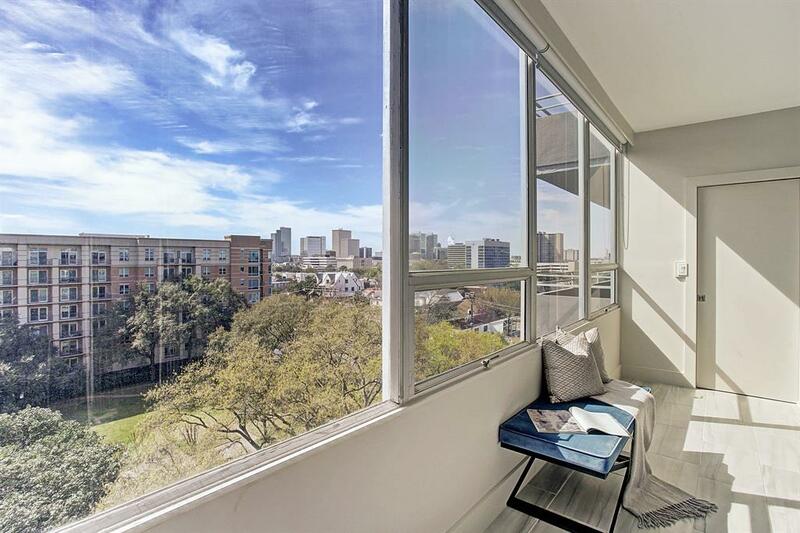 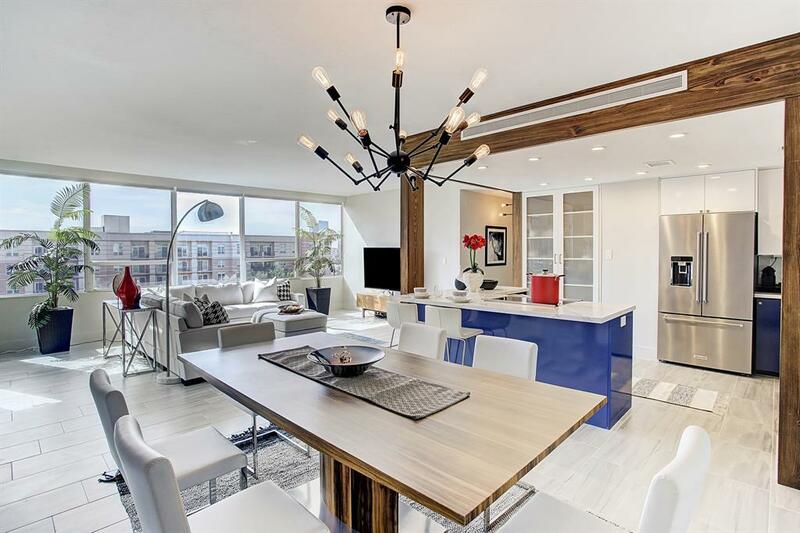 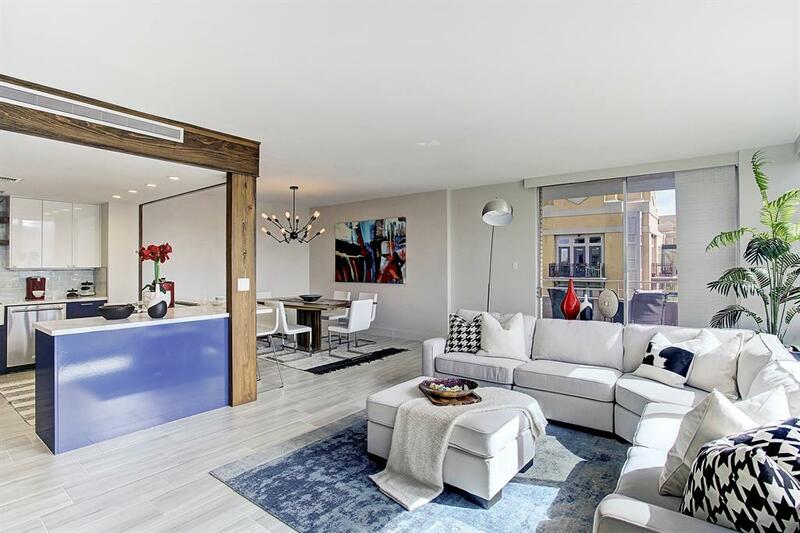 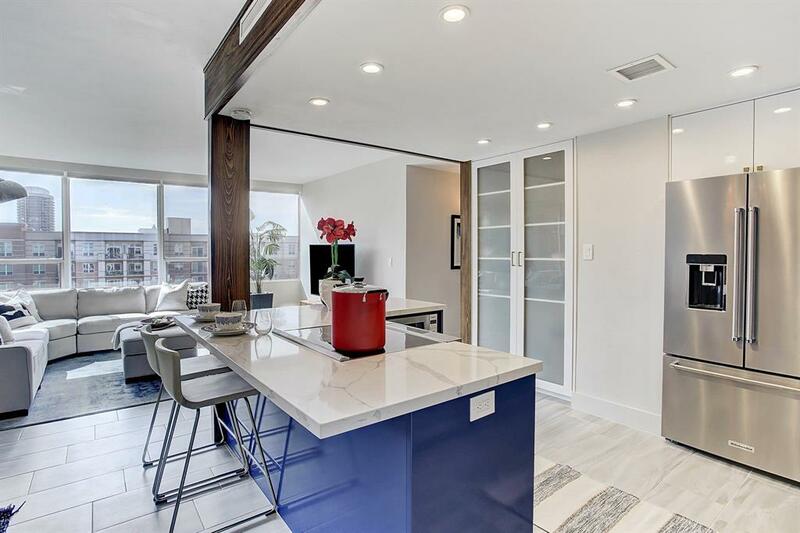 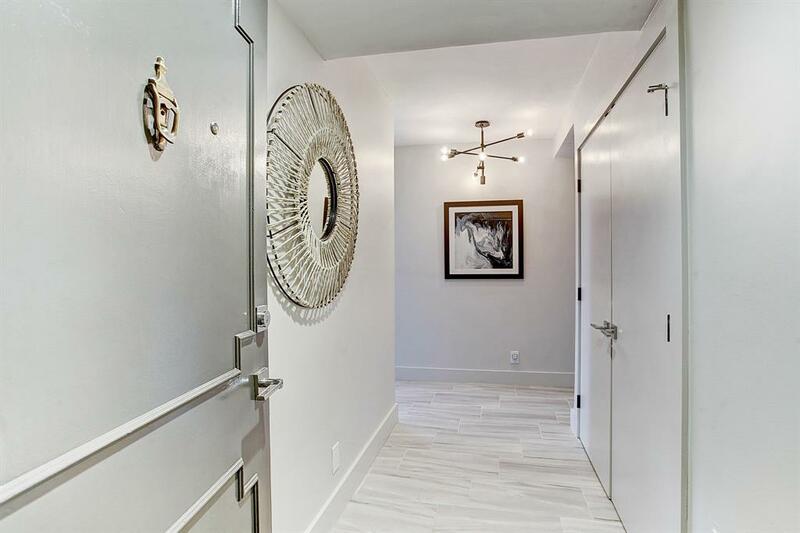 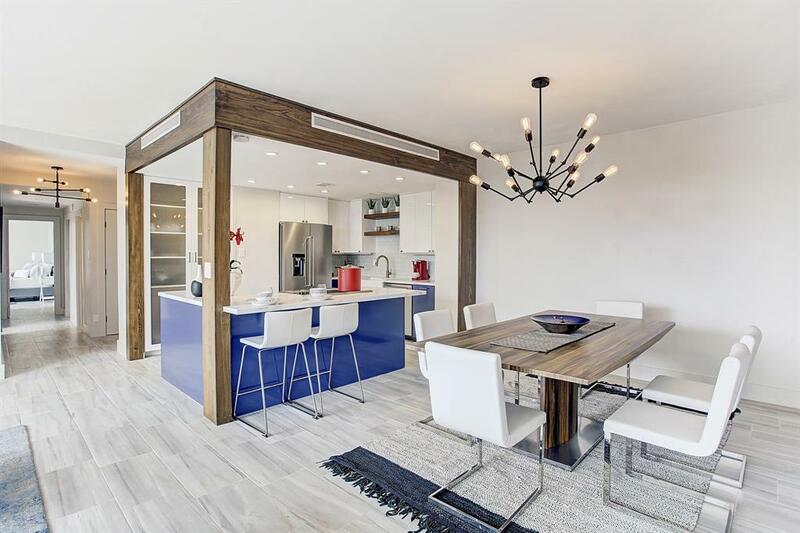 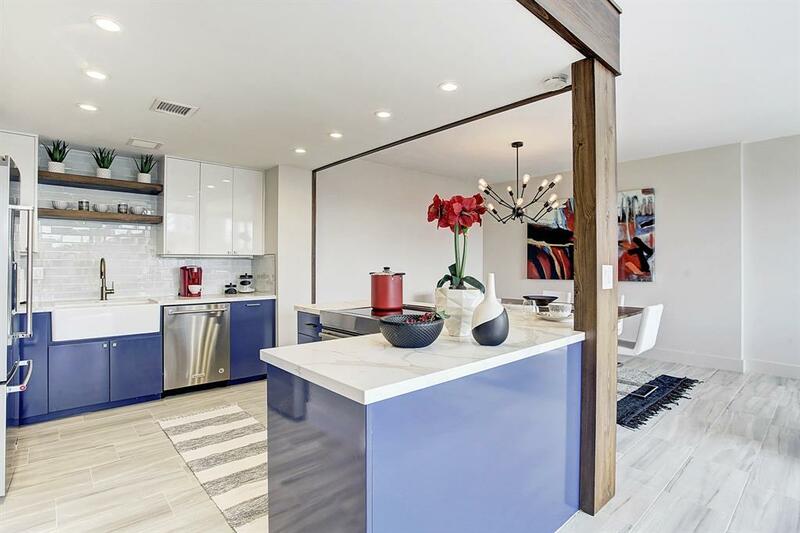 This large corner unit has been totally remodeled with all new fixtures, featuring porcelain tile floors, sleek kitchen with custom cabinetry, quartz countertops, glass tile back splash and top of the line KitchenAid appliances, including induction cooktop. 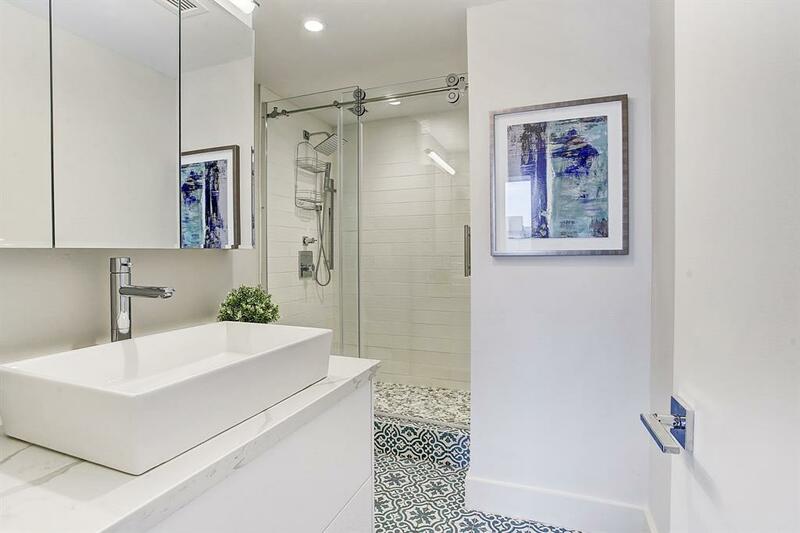 With clean lines and a neutral palette, it's move-in ready. 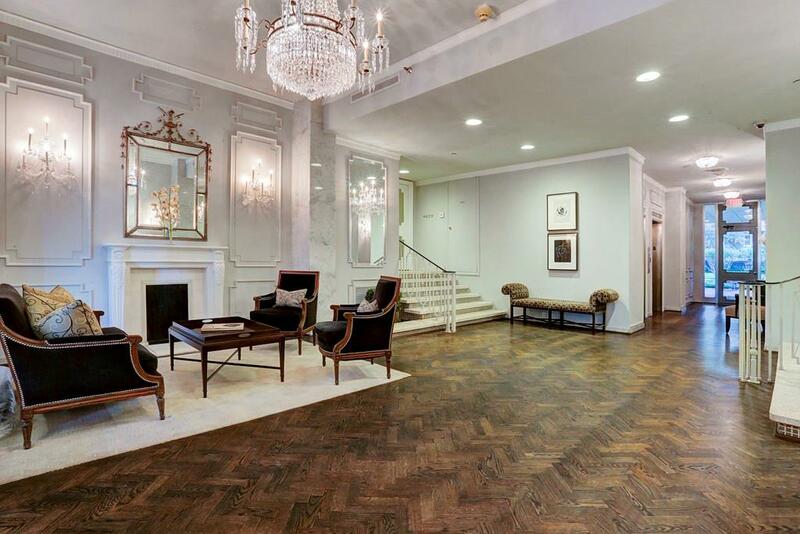 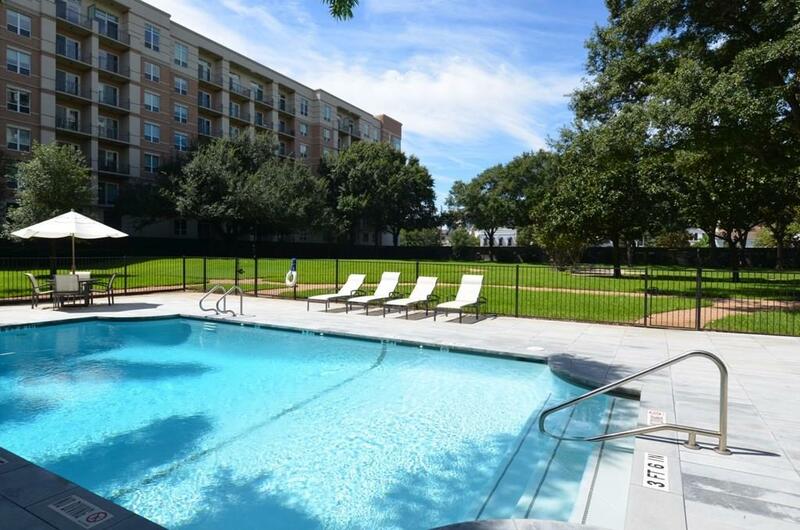 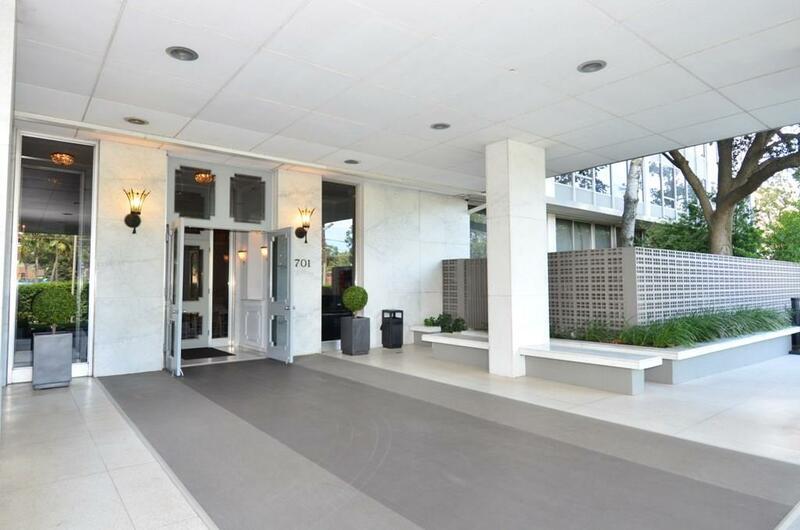 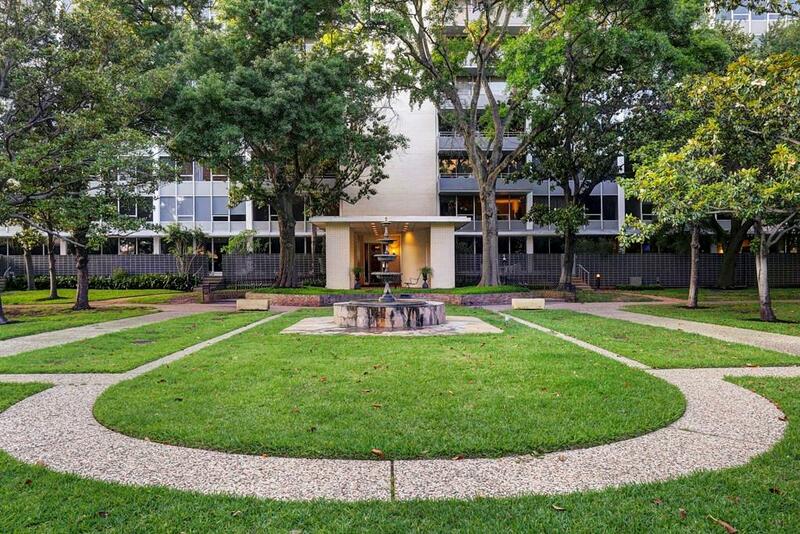 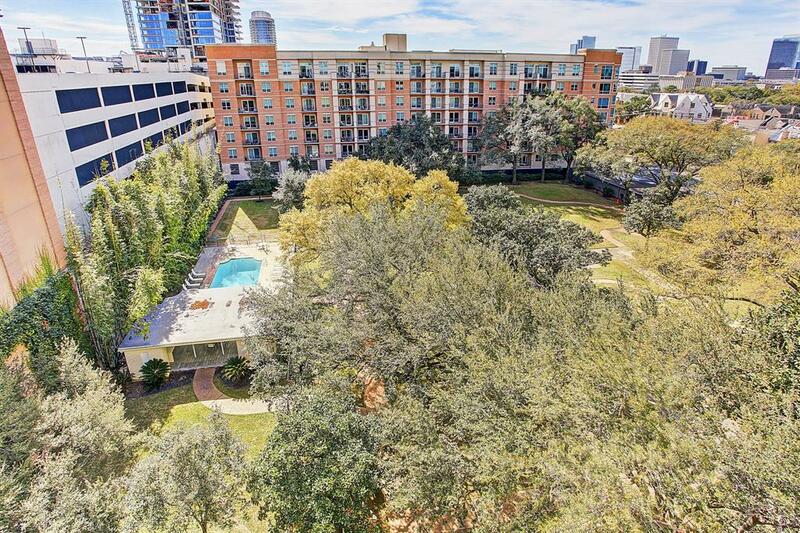 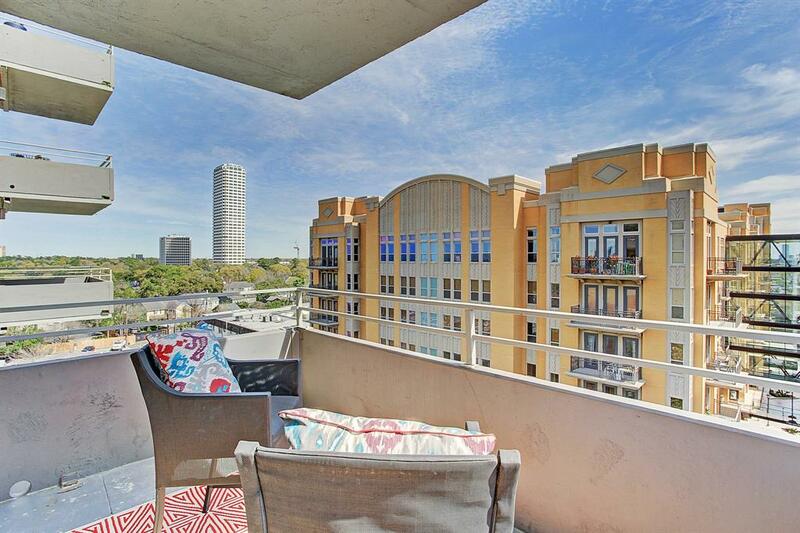 Situated on 3 acres, the Regency House, Houston's premier boutique condominium building, is at the crossroads of Kirby and Westheimer, one of the city's most coveted areas, providing a walkable neighborhood with fantastic restaurants, shops and Whole Foods grocery. 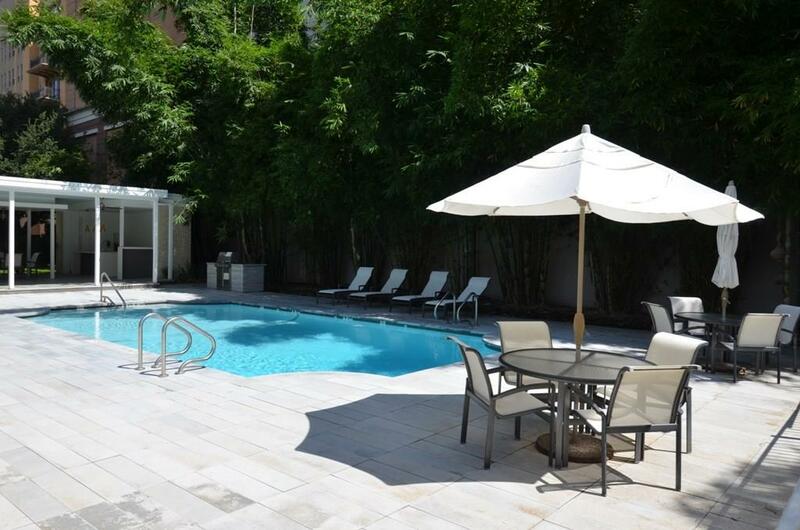 Amenities include pool and cabana, gym, individual storage units, full time concierge and great staff. 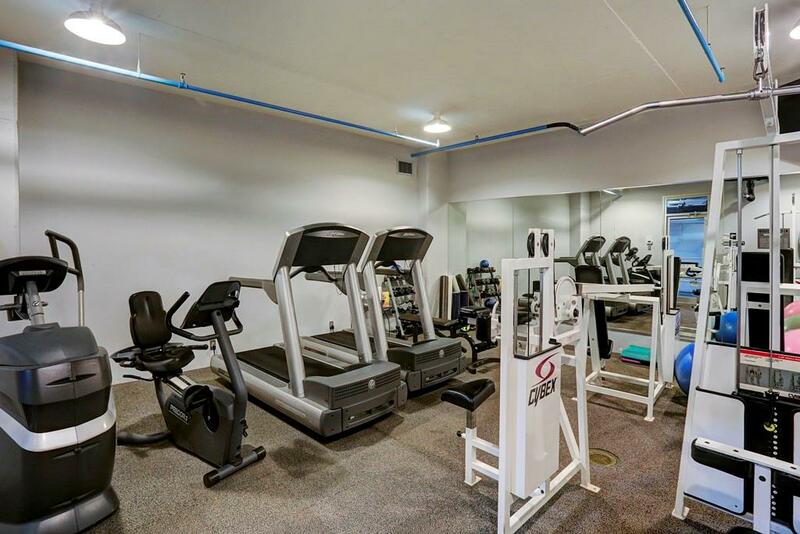 The maintenance fee is all inclusive - FULL utilities, cable and high speed internet. 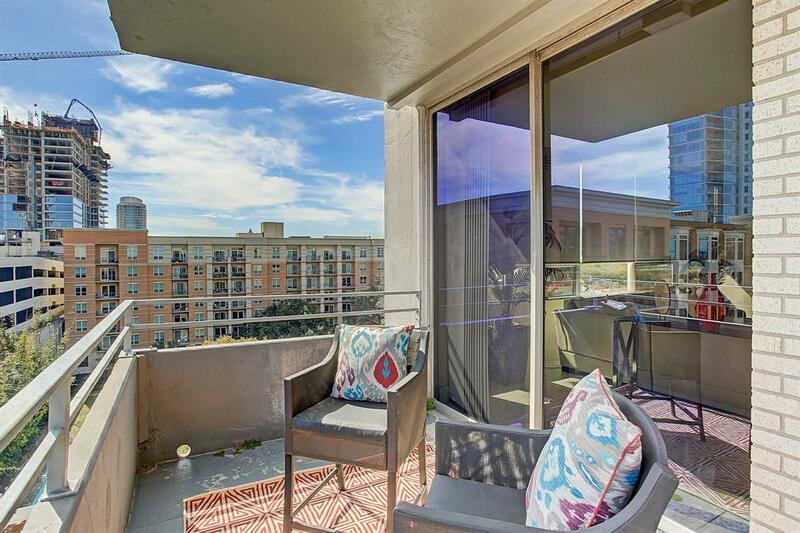 N. on Kirby Drive from Southwest Freeway, W. on Westheimer, building 1/2 on left side of street, directly across the street from Chuy's.